WITH dementia set to overtake heart disease as Australia’s leading cause of death, experts say that preparing for the challenges ahead is now a matter of urgency. Maree McCabe, chief executive officer of Alzheimer’s Australia, told MJA InSight that formal health care services would be unequipped to meet the demands brought about by the disease’s increasing prevalence. “There was a report released in 2011 identifying that by the year 2030 we would be 120 000 places and beds short in residential and aged care,” Ms McCabe said. Ms McCabe said she believed that there had been little action in the area of dementia because of the general perception that the disease only affected older people and was a normal part of ageing. “I don’t think dementia gets the same attention as other diseases given a number of myths that we work very hard to dispel,” she said. “There will soon come a time where there won’t be anybody in our community who won’t be impacted in some way by dementia. In September 2016, the Australian Bureau of Statistics released its annual report on causes of death, with figures showing that from 2006 to 2015 the number of deaths due to dementia doubled from 6550 to 12 675 per year. The rate of the current leading cause of death in Australia, heart disease, decreased, along with deaths from stroke. With Australia’s burgeoning ageing population and no cure for the ravages of dementia, it is highly likely that by 2021 the disease will claim the most lives in Australia each year. Dr Susan Carr, professor of Public Health Research at Northumbria University in the UK and formerly adjunct professor at Federation University Australia in Victoria, told MJA InSight that in Australia, dementia still needed to be fully recognised as a terminal and long term illness in order to attract the requisite level of formal support. “There is a general ignorance about the disease, its scale and its impact. This leads to an assumption that family carers can take up the care needs, but this is a very complex and challenging illness,” she said. Dr Carr was a co-author of recent research from the UK, where dementia has also emerged as a serious problem for families and health care services, highlighting the importance of the role that informal care providers play in meeting the growing challenge, and ways in which their work could be facilitated and supported. 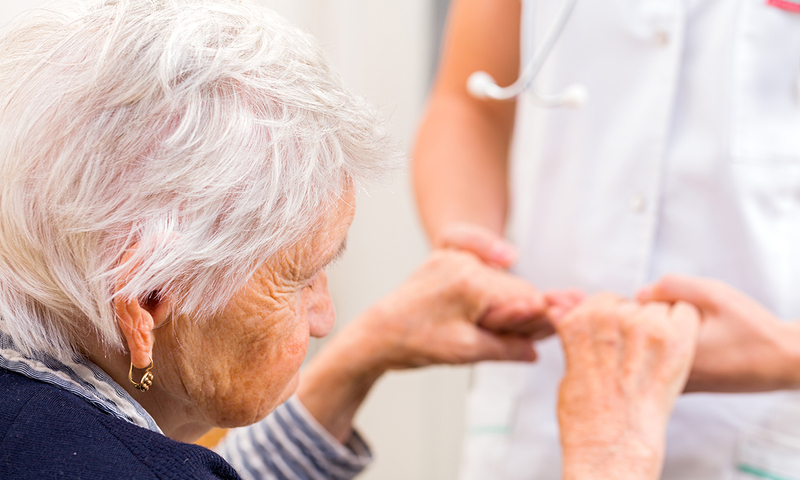 Dr Carr told MJA InSight that a flexible approach to care giving, including respite services and provisions to ensure the holistic support of carers to build resilience, needed to replace the traditional “burden of care” model. “The main strength of adopting a resilience approach to public health concerns is its framing of health challenges within a positive, salutogenic paradigm that emphasises what can be achieved rather than what cannot,” she said. According to the UK research, further studies are needed to understand how family carers of people with dementia can be best supported and how resilience may contribute to the health of adults. “The dominant issue is how to live well with an illness and how to accommodate the changes that the illness brings into the family unit, so that caring and support is integral rather than fracturing and negative,” Dr Carr said. Ms McCabe said studies showed that carers for people living with dementia had much worse health outcomes than those caring for loved ones with other conditions. “Carers need emotional support and respite. They need time out to be able to rest but also know that when they are doing so, their loved one is taken care of in a way that is best for them,” she said. Ms McCabe said that through supporting carers, people with dementia would be more likely to stay in their communities and experience a better quality of life. “Keeping people in their homes is important, but so is keeping them connected and socially engaged,” she said. It is interesting that prevention is not mentioned at all.The most effective measure today would be to prevent or slow down the process of developing dementia. There is a lot of talk of support and maybe limited treatment options, but prevention? No word. Dementia is a long term illness and very often the carer cannot continuing supplying 24/7 care. Support can only help so much, then the carer cannot go on doing it and the person needs to be in sheltered care without the carer feeling guilty or as if they have failed in any way. Agree, but carer and patient should remain in same “sheltered” environment. While the prevalence of dementia (primarily but not only Alzheimer’s disease) is increasing as more and more of the population reaches older age, the incidence in developed countries is not. More needs to be done to identify what factors are associated with declining incidence so that interventions can focus on prevention.